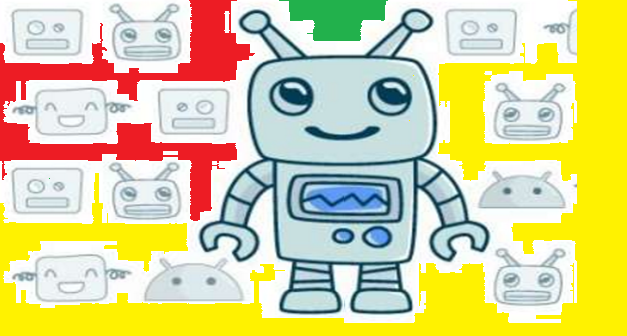 How to create Chatbot ? – Let’s learn it. Overview: Virtual digital assistants such as Alexa and Siri have become popular among consumers. Not so long ago, industry stalwarts predicted that consumer digital assistants shall become the hot favorite of many homes. Their prediction cannot be disputed. 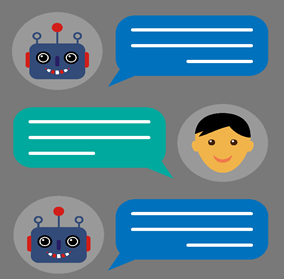 Another favorite cognitive technology topic for industry stalwarts is the significance of chatbots. Experts vouch for the massive adoption of chatbots in different sectors. Without question, this modern cognitive technology has already revolutionized customer server industry. Chatbots are capable of doing many things like providing instant responses to questions, recommending actions for users based on their behavior, traits and context, integrating into cloud applications and functioning as an interface between businesses and customers. Applications are endless. Business opportunities are limitless. Before understanding the nuances of how to create a chatbot for your business, first understand the two types of chatbots. Chatbots powered by rules are capable of responding to specific questions. If you ask any out of the box questions, they disappoint you. Functionality is limited as these bots are as intelligent as they are coded to be. The second category of bots are powered by AI. In other words, they have an artificial brain. Not only do they understand commands but also language. They evolve. They become smarter and learn from conversations with people. Different chatbots have different purposes. Therefore, it makes sense to define the purpose of your bot. Let me explain. The last AI powered chatbot we developed was for a renowned 5 star hotel. For all intents and purposes, the bot converses with customers, parses their rich feedback statements and appreciates their thoughts. Customer: The delicacies were sumptuous and wholesome. Unfortunately, the service wasn’t lively. Bot: Thank you. Two accolades and one concern – Noted! It can be inferred that we decided on designing a bot that understands the nuances of customer emotion and complexity. Not astonishingly, our client was elated. Deciding the scope and purpose of chatbots is an important business decision. Chatbots represent your brand. To create ever-lasting and delightful customer experiences, it’s recommended that every chatbot has a unique personality. Do you want your bots to be angry? Do you want your bots to be romantic and patronizing? Or do you want them to engage in relaxed conversations with customers? H&M chatbots are built on Kik. Do you want your target audience to have a love affair with your chatbots? The aforementioned six actions are usually enough to kick-off the personality. And yes, personality depends to a very large extent on utility and context. In case of digital voice assistants, accents and gender tone form an integral part of their identity. Of course, Siri lets you pick a different tone. You just need to play with its settings. Structured conversations usually encompass an array of logical steps. Choices, menus and forms are factored in. Unstructured conversations are usually devoid of logical flow of information. More often than not, conversations between friends and family members are unstructured. Close-ended conversations are easy to interpret. Open-ended conversations are a bit tough to interpret. Chatbots should be able to handle not only close-ended conversations but also open-ended ones. It’s a good practice to let your chatbots give directional cues to your target audience by suggesting tasks. Effective chatbots greet users, break the ice, congratulate them and engage in personalized conversations. The next step is to build a prototype. Make sure to convert all logical task-flows to a chat. Draft a script. Use prototyping tools to build a great prototype. Motion AI: You can build great conversational flows and extract tremendous visual overviews. Chatfuel: This platform has impressive features such as content cards, bot elements, Natural Language Processing capabilities, bot promotional tools such as custom landing pages, button creators, etc. You can broadcast messages and clone your bot. Once you build your bot on any a prototyping platform, make sure to test the bot. Let your users have conversations with it. Make a note of all the when – and – where instances that are giving your bot a tough time. Train you bot. Work around its learning experiences. Always remember that the target audience of chatbots is humans. So when you simulate chatbot personalities, factor in two vital aspects- context and emotion. To strengthen its personality, focus on words like “Hello”, “Hey”, “Howdee”, etc. Prepare a list of such words and train your bot. Keep testing your bots by adding new use-cases. Prepare yourself for a chatbot revolution. The next generation of businesses shall incorporate interactive image analysis which paves the way for visual chatbots. The future is incomplete without chatbots. Cheers! Author Bio: Skyler Jones is a passionate content writer as well an online business adviser. She is the Managing Editor of StartupWhale, a blog which publishes profitable small business ideas for entrepreneurs.Her Twitter and LinkdIn profile.